25G SFP28 takes existing module form factors, such as SFP28 and QSFP28, and allows for a breakout connection that is configurable as either 25G per lane or the full 100G without changing the port on the front of switches. For example, SFP28 twianx cable, also called SFP28 DAC, is a type of 25G SFP28 assembly. It has a similar structure with other DACs like SFP+ DAC or QSFP+ DAC whose connectors are not real optical transceivers. Due to this reason, SFP28 twinax cable is cheaper than SFP28 AOCs and SFP28 optical transceiver, which offers a cost-effective solution for high density, high speed I/O data center applications. The answer for this question is “yes”. 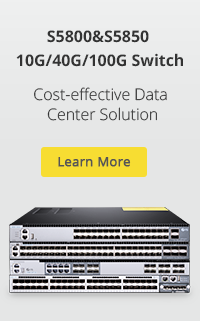 As we all know, SFP+ form factor is defined for 10G speeds. And it was later adopted for 25G but the electrical interface had to be upgraded to handle 25Gbps per lane. The pinouts of SFP28 and SFP+ connectors are mating compatible. Therefore, SFP28 is backward compatible with SFP+ ports and will work sufficiently. 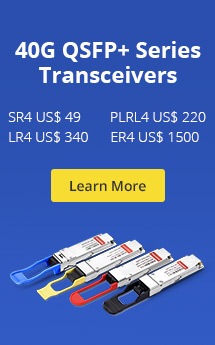 In addition, compared with SFP+, SFP28 has increased bandwidth, superior impedance control and less crosstalk in network connections. And SFP28 copper cable has significantly greater bandwidth and lower loss than SFP+ version. As a new-comer, the compatibility and the benefits make 25G SFP28 different from 10G and 40G in some degree. The advent of 25G changes the connection speed of servers, and the migration path will from 25G to 50G or 100G, which in turn accelerate the development of 25G. 25G SFP28 assemblies, as an important bridge in this progress, are booming now and in the near future. This entry was posted in Fiber Optic Transceivers, SFP28 and tagged 25G SFP28, QSFP28 to SFP28 breakout cable, SFP28 DAC. Bookmark the permalink.